In Raising Human Beings, the renowned child psychologist and New York Times bestselling author of Lost at School and The Explosive Child explains how to cultivate a better parent-child relationship while also nurturing empathy, honesty, resilience, and independence. 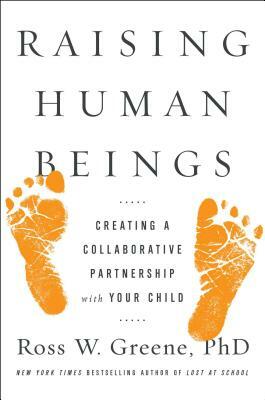 Dr. Ross W. Greene is the author of Raising Human Beings, Lost and Found, Lost at School, and The Explosive Child. Dr. Greene was on the faculty at Harvard Medical School for over twenty years, and is now founding director of the nonprofit organization Lives in the Balance (LivesintheBalance.org), through which he disseminates the model of care—now called Collaborative & Proactive Solutions—described in his books. Dr. Greene’s research has been funded by the US Department of Education, the National Institute on Drug Abuse, the Stanley Medical Research Institute, and the Maine Juvenile Justice Advisory Group. He speaks widely throughout the world.